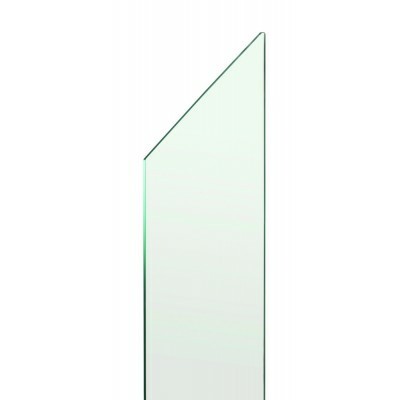 Single IMMIX rake glass panel manufactured from 8mm clear toughened glazing. Glass slides into grooves running along the length of the baserail and handrail. Overall size: 200 x 790 x 8mm. All edges feature a polished 1mm arrised edge. Full Richard Burbidge fitting instructions supplied with top rake connector.